The Waterloo Historical Society fosters the recognition of our region’s unique heritage and diligently encourages heritage preservation. The Waterloo Historical Society documents the history of Waterloo Region, including the cities of Kitchener, Waterloo and Cambridge, along with the Townships of North Dumfries, Wellesley, Wilmot and Woolwich. Active steps toward the establishment of a historical society in Waterloo County (now the Regional Municipality of Waterloo) were taken in 1912. With the encouragement of the Ontario Historical Society, a public meeting was held in November 1912, which resulted in a recommendation that the WHS be organized. The first meeting of the board was held on November 26, 1912. It has been 100 years since that modest beginning. The Society has grown to over 230 members (2009) and has a set of by-laws which govern activities carried out by the board of directors. 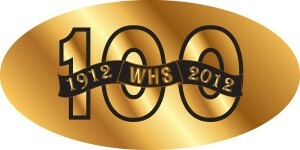 Current activities include five public meetings each year with invited guest speakers and held in various locations within the region; since 1913, continuous publication of a volume of local history articles; quarterly newsletters; acquisition of documents and photos for WHS archives; and erecting historical plaques. The WHS is an affiliate member of the Ontario Historical Society and a founding member of the Waterloo Regional Heritage Foundation. The WHS collaborates regularly with heritage and historical groups in the region. WHS is a registered charity, under Canada Revenue Agency. Thanks to the generosity of James Roos Breithaupt, president of the WHS in 1997-1998, the society was granted a revised badge (based on the 1922 design by E. M. Chadwick of Toronto) by the Canadian Heraldic Authority.